Our Reiki group was blessed when Anthony Harper brought his crystal collection to class. We had the opportunity to work with a wide variety of stones of different colors and sizes. We did healing sessions with mixed stones including emeralds, rubies, tourmaline, amethyst, and diamonds. We also worked with sessions using all citrine. 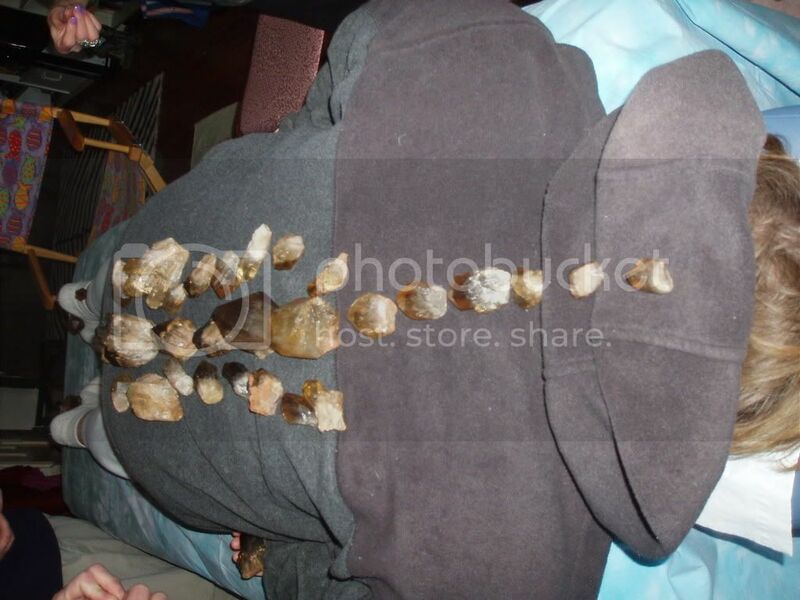 The stones were placed all over the body. They amplified and enhanced the Reiki healing process by bringing fine yellow light into the person’s aura. The yellow ray brings joy, helps overcome fear, strengthens self-confidence, and brings courage to achieve our goals. The citrine enables us to courageously speak our truth, and connect to our true source of power. As a result we are more creative, for we are free from being influenced by the judgments and opinions of others. The person on the table receiving the treatment begins to feel the healing energy of the stones before we begin the hands-on process. While the individual is in a state of deep relaxation, the stones help release troublesome thoughts and tension. Most citrines are really violet amethyst that have been given a heat treatment, so they are rare to find in their natural state. 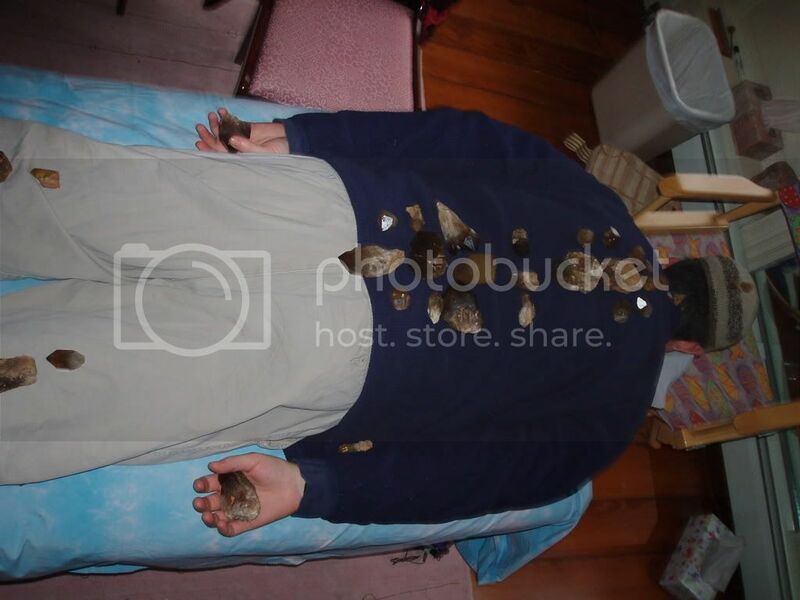 Although I don’t have pictures, our group also did Reiki treatments utilizing different kinds of stones. I personally had one treatment where I was totally covered with rubies, and used an emerald the size of a large grapefruit as a neck pillow. I had diamonds on my eyelids, tiny tourmaline rods on my sinus points, and a herkimer diamond on my third eye. It was one of the most heavenly healing treatments I’ve ever experienced, and I felt profound well-being for days afterwards. I always knew that if I were covered in rubies and diamonds, I’d feel just fine.